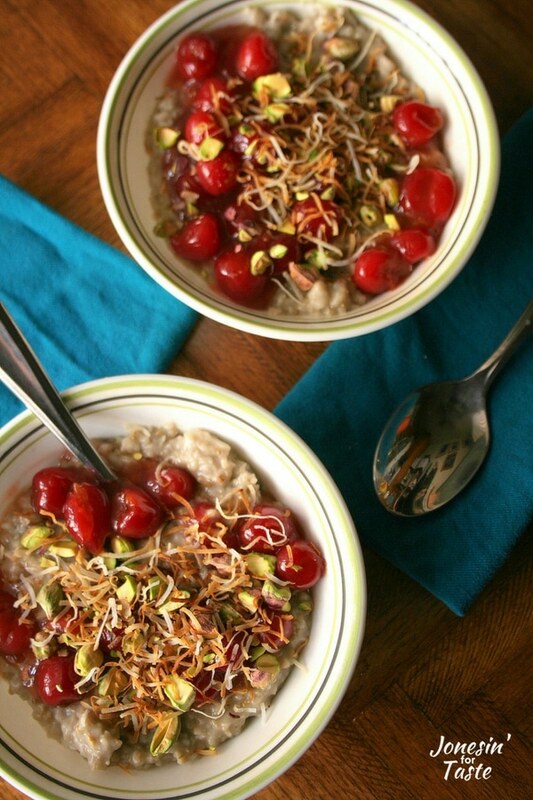 Slow Cooker Cherry Coconut Steel Cut Oatmeal is a different oatmeal & easy overnight breakfast dish topped with cherries, toasted coconut, and pistachios. 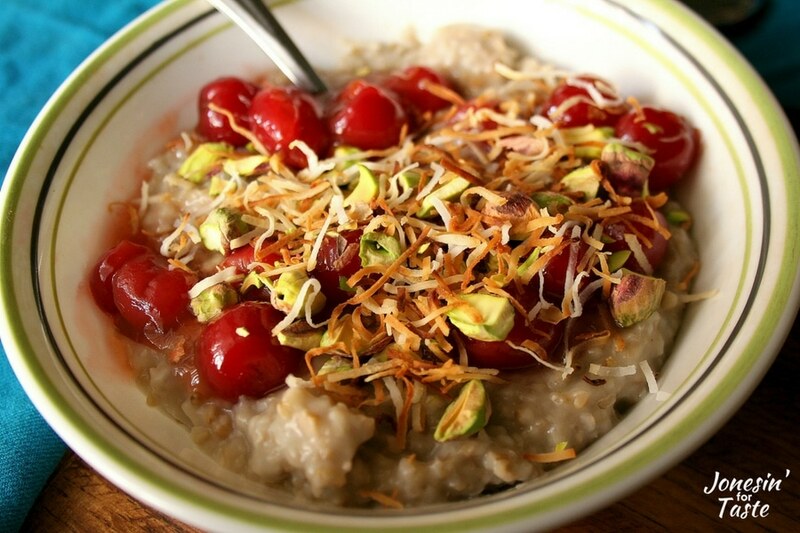 Once I discovered steel cut oats and I fell in love! 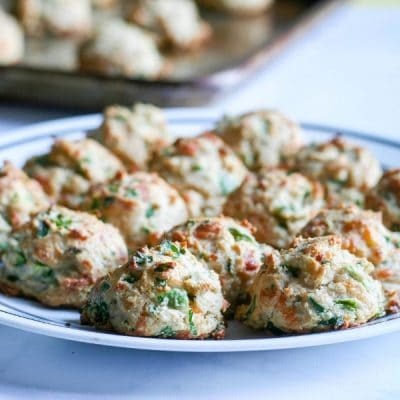 They are perfect for the slow cooker and I’ve tried quite a few different varieties from Pinterest that were all super yummy so I decided to come up with one that I thought my family would love. 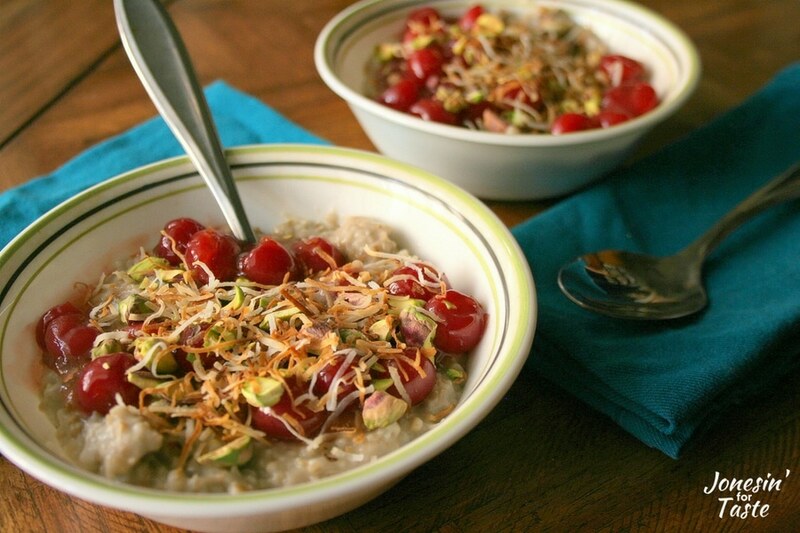 My husband is NOT a fan of oatmeal so I went with some of his favorite flavors- coconut, cherries, and pistachios. He willing ate it the cherry coconut oatmeal multiple times so I’ll take that win! The steel cut oats already have a little bit nuttier flavor but the pistachios are a nice extra nutty touch. The cherries add a nice bunch of tang and sweet. If you are a huge fan of coconuts you’ll love the coconut milk, coconut oil, coconut extract and shredded coconut. Whew! I really tried to pack in as much coconut flavor as I could. One of my goals is to actually eat breakfast everyday. 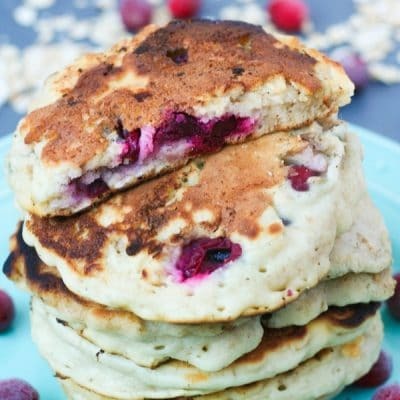 I know that sometimes we really struggle with having a good breakfast that isn’t cereal. Not that there is anything wrong with cereal but it has never been my favorite breakfast option. Granola is really popular in my house which is why I’ve come up with a few different recipes like Tropical Granola, Cinnamon Blueberry Granola, and Cherry Macadamia Nut Granola. I came up with a Trail Mix Oatmeal and Slow Cooker Orange Pineapple Oatmeal that was a nice change of pace as well. But sometimes I need something even simpler. 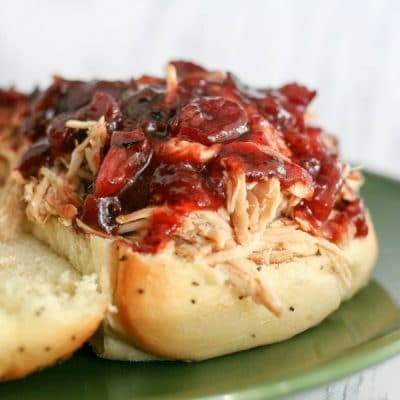 Using the slow cooker takes out a lot of the stress in the mornings because all I have to do is dish it out. I use a programmable slow cooker so it automatically kicks off and keeps it warm so it doesn’t burn on the edges which can happen. Plus, it means I get a few extra minutes of sleep which I definitely love. 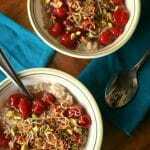 Although I am partial to this Slow Cooker Cherry Coconut Steel Cut Oatmeal you could easily swap out some of the flavors and do apple and pecans instead of cherry and pistachios. What oatmeal flavor combination would you like to try? 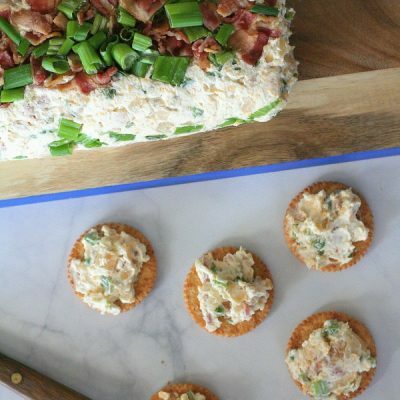 Combine oatmeal ingredients in slow cooker. Stir to mix and cook on high for 4 hours.